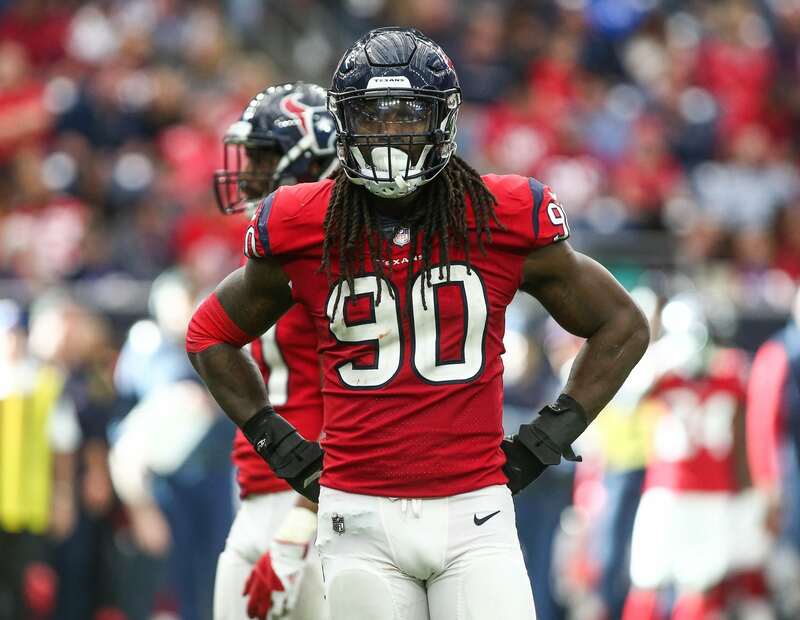 The Houston Texans and Kansas City Chiefs could soon have a grievance to deal with as it pertains to Jadeveon Clowney and Dee Ford. Both teams used the non-exclusive franchise tag to lock up these pass rushers for the 2019 season, and both are registered as having done it under the linebacker position, per NFL communications after the deadline had passed. The big deal here is that both players are clearly primarily pass rushers, which should garner them the kind of money defensive ends would get on the tag. And while both tag numbers are hefty, the defensive end tag is significantly more. As noted by noted salary cap expert Joel Corry of CBS Sports, this likely means it’s grievance time for these two stars. Of course, it would be surprising if either player signed their franchise tag any time soon, regardless of what happens on the grievance front. Ford is being shopped by the Chiefs, who are converting from a 3-4 scheme into a 4-3, and he doesn’t necessarily fit. Clowney wants a long-term deal, and the Texans do, too. Using the franchise tag was at least initially just a way to ensure he did not hit the open market later in March. It’s going to be fascinating to see if these players do file a grievance, and what will be decided in such a case.